For voting stations, voting system supplies, ballot logic and accuracy testing, and related services, please visit our partner site: DSSolutions.com. Our team has 90 combined years of experience in county, state, federal, city, township, school and special elections, and we understand the complex legal requirements you face every day as an elections official. 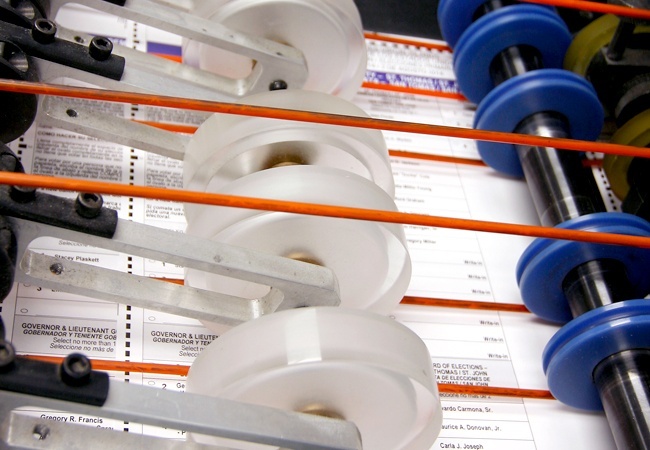 As part of our ongoing drive toward innovation, we recently implemented the first-of-its-kind fully integrated ballot production workflow system. It’s just one way we’re helping reduce risk and increase integrity for you—and for every American who votes.